Today’s post features a guest essay by my former professor, Evan James Roskos of Rowan University! He is a fellow book-blogger and a generally awesome dude (with a baby, who doesn’t love babies?) so I hope you’ll give it a read and leave your comments! His essay is about negative book reviews, and I’ve posted before on the subject of negative reviews of my book, but never on books in general. Honestly, as much as I respect your right to post them, I am not a fan. Now this is a movie. I think about this at least once a day for whatever reason- it gets stuck in my mind the way a song might. I think this applies to so many writers- they have this absolutely wonderful craft, that can be used to do any number of things, and they choose to use it to bring negativity into the world. Now I know I’m getting a little hippie (as I tend to, with my yoga and cage-free eggs), but I think the world has enough negativity without my contributions. I do sometimes want to be spared the trouble of reading a really horrible book, but since most of my books come from the Philadelphia Free Library’s book store ($1 to $3 per book, and it raises money for the library, so you really can’t beat that! ), I’m willing to take the risk. My taste is unique. Everyone’s is. My favorite local plays have been critically panned. The movie I’ve watched most often, Labyrinth, is generally considered laughable. I find taste to be such an individual thing- I can’t possibly make a decision about something as important as a book based on a star-rating. So reviews in general, yes, are not especially important to me. But negative reviews… well, I think they’re simply a waste. A waste of time and space, for both the poster and the reader. If you didn’t like the book, move on. Why dwell on an unpleasant experience? How many people are really going to heed your warning and avoid that book? A negative review of a laundromat, say on Yelp, is one thing. But posting a negative review of a book- it seems harsh. Writing a book is an act of sheer bravery. And if this is the book you slaved over for ten years, it sort of bothers me that someone can bring it down in 10 seconds- especially if they didn’t even finish it. If people want to post negative reviews, I almost think they should have to go through as much trouble as the author did to write the book. Anyway, here is Evan’s essay! Be sure to check out his blog, too! If I don’t have something nice to say…. I have stopped writing negative reviews about books online. As I’ve said elsewhere, the hardest thing about being a writer is not the loneliness, it’s the rejection. Every success a writer achieves is proceeded by dozens and dozens of rejections. Sometimes hundreds. I received tons of rejections from journals for short stories. After my MFA, I sent around a short story collection and two novels, which helped me accumulate over 170 rejections. But I once believed that if authors published novels or New Yorker stories, they were just supposed to handle criticism. Plus, what were the chances they’d read my scathing Goodreads review? See, I have history writing things on the internet. 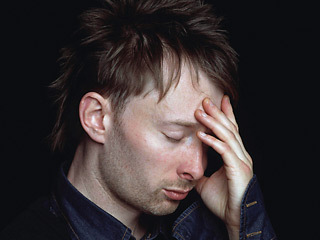 Thom Yorke has enough of his own pain. Fast-forward to the Amazon.com age: I joined thousands of self-appointed experts, reviewing music, books, and movies to reveal to anyone with an internet connection my very important opinions regarding John Steinbeck’s novels, Godfather III, and Godspeed You! Black Emperor albums. I was saving people time and money and emotional frustration by writing about bad things and somehow increasing audiences by writing about good ones. It didn’t help that I went to graduate school from 2003-2008 to get a Masters degree in Literature and then an MFA in Creative Writing. Graduate school trained me to believe I was good at judging literature, so that by the time I decided to become a writer I already had set ideas about writing based on the handful of books and writers that academics had deemed good. It’s not that academics are often wrong about what books are good. It’s just that our opinions are often dated. Put another way: the quality and importance of books published now cannot be determined now. I did not understand that books celebrated now might be forgotten in 100 years; and lots of the books that are celebrated 100 years after their publication were initially ignored (I’m looking at you, Herman Melville and Zora Neale Hurtson.) So, while I learned much about literature during my period as a graduate student, I did not learn how to critique contemporary fiction. Thus, five years in academia plus a predisposition to snobbery resulted in a number of harshly negative reviews for books on sites like Amazon and Goodreads. Not the greatest tragedy of my life, but certainly a character flaw. I eventually went too far. Back in 2008 I posted a review for a book; the review actually got the attention of the book’s author. I said some unnecessarily rough things, spurred by my belief that I knew a good book because I was a double-expert! I had an MA in Literature and I was getting an MFA. Why shouldn’t I post a review questioning the awards given to this novel and its author? Why shouldn’t I question this author’s skills? Chances were high that millions of people were considering whether or not to read that very book! I had to warn them! The author emailed me and, in a very polite way, suggested I was being unnecessarily harsh. (He was happy to see that I actually liked his second book a bit, joking that at least he was improving — the kind of self-deprecating humor I normally would appreciate). At the time I joked with fellow MFAers about how sad it was for an author to write a reader. I thought it was desperate and weird for him to go out of the way to contact me. Others agreed; no one seemed to think I was wrong for ripping the guy and his book on the internet. Ripping things on the internet is my right; that’s the very purpose of the internet. As you can probably sense, this was a terrible way to live. Fortunately, a couple of published authors said some key things about reviews and being a writer that helped shake up my persona both online and in the real world. A weekly coffeeshop conversation with author Matthew Quick, which stretched over many months, helped me shed some (though certainly not all) of my natural and acquired snobbiness. It’s not that Quick would show up and lament the nature of internet reviews. Nor did he chastise me for my own transgressions (yes, I did tell him about my harsh review and the resultant email). But he did push me to consider reviews from the other perspective. The irony is that I used similar thinking when teaching literature. Books force us to consider other perspectives! I said this in class to students but failed to consider it when writing reviews. In an email, author Rick Moody once told me that he “wouldn’t object to a ‘negative’ review if that review were substantive, and about a resistance to the material based on concrete ideas about how it might be improved” but that negative reviews without substance “are bad for everyone.” I agree with him, even though I have yet to feel the barb of a negative review (my first novel having yet to see the light of publication). 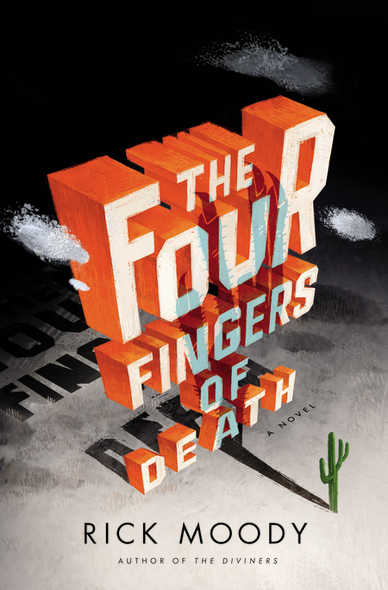 Rick Moody's novel has everything: a talking chimp, jetpacks, and zero-G astronaut love. Negative reviews hurt authors, of course. We already endure the criticisms of their own ego both before and after dealing with the many rejections on the road to publication — and those rejections don’t to stop for authors who have successfully released multiple books. I’m not saying only positive reviews should get published, but Moody’s quote puts the importance on the depth and substance of the review. Valid negative responses can lead to interesting conversations for readers (mostly for readers who have read the novel in question). In our email conversation about online reviews, Moody went on to assert that “The bilious, cantankerous reviews are posturing and narcissism. I don’t read them, and I feel sorry for the people who write them.” I’m sure we’ve all seen reviews for books or movies that seem to explode from the very gall bladders of the reviewer. I cringe when I see “worst books of the decade” or “most overrated authors” lists because they reek of basic internet jackassary: get people to click on an article by flailing one’s arms and speaking in tongues. Plus, when people who claim to love books and claim to lament the decline of reading write negative things about their very own industry, what hope do any of us have? What these two authors in particular taught me is crucial: writers are nourished by tiny morsels of praise and nearly choke on the torrent of negativity online. It’s the struggle of being a writer in the 21st century. Self-promotion requires an internet presence; readers require an outlet. The internet, as everyone knows, puts authors in direct contact with readers. Of course, readers have a direct line to the authors — a megaphone five feet from their face. 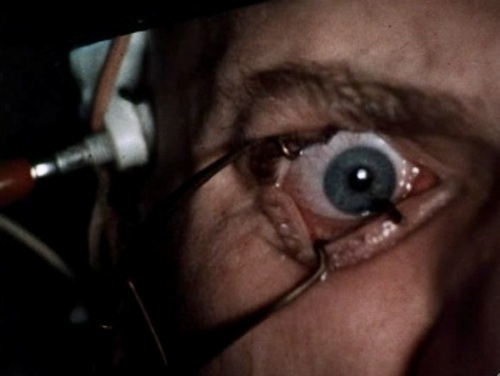 When one person reaches out to thousands it’s considered a huge advance in direct marketing; when thousands can shout in the face of one person — even if they shout praise or say nothing at all — it’s akin to that scene in A Clockwork Orange where Alex DeLarge is reprogrammed. Alex DeLarge doesn't heed internet criticism. Most readers would probably suggest an easy solution: all writers should avoid reading negative reviews, especially the ones written with the goal of ruining the author’s week. I’m not sure it’s that easy. Is it possible to avoid reading blogs and tweets and Facebook statuses and reviews on Amazon or Goodreads? Hell no. Writers, as part of our profession, need to self-promote, and the internet is the main way that happens. Promoting yourself while also ignoring what others are writing about you on the same sites? It’s not reasonably possible. Plus, some reviews will find their way to your inbox or into conversations even if you manage to ignore them. I didn’t relinquish my stance about reviews and my opinions overnight. But I eventually got to a point where I wrote to the author who had written me and apologized. I explained not only why I had written the review but also why I eventually took it down. I told him that I didn’t expect him to accept my apology. And I told him I hoped he was still writing. None of that should be read as a noble thing on my part. I should’ve never written the bad review in the first place. There was no need. So, to get to the point, I have stopped writing negative reviews. If I don’t like a book or movie, I don’t post comments about it. As a writer, I need to spend time writing new stories and books. And if someone wants to trash them online, I’ll be sure to debate with myself whether it’s worth sending an email to the critic, ignoring it, or just getting better. Evan James Roskos is a writer from New Jersey, a state known for delicious produce and rotten politics. He’s been published by Granta, Narrative, and StoryQuarterly. Well said. Why waste your time and energies with something negative. Just move on to the next book that might knock your socks off! I am so glad someone agrees! While I respect your opinion, I don’t agree. One must always consider one’s audience when writing, and I don’t write my reviews for authors, I write them for readers. If I only share my warm-fuzzy reads, I think my blog readers and I will have a rather shallow relationship. Some books make you think, some make you angry, some make you sad, ~that’s why we read. If I’m omitting the books I don’t like, I feel like I’m not being honest with the readers of the blog. Not every book is for everyone. I can’t count the number of times I’ve picked up a book because the very thing someone else disliked about it is what draws me in ~and vice versa. Differing opinions about books opens a dialogue, and I love that about books. I can get behind this. Well-said. As an English major, I’ve of course done the criticism- I just never want to get on the internet and read or write it. I agree with Jenn. I blog as an opportunity to analyze the art of storytelling. Most of the time, I find both positive and negatives in everything I read. As an “active” reader, I think critiquing is all part of the process. As an aspiring novel writer myself and a journalist, I also appreciate the hard work and dedication that goes into writing a book, but I think pointing out the shortfalls is what gets a conversation started. There are some poorly written books out there that I have enjoyed just as much as some of the classics. As Jenn said, everyone has different tastes and I believe the best part about reading is about respecting each other’s opinions about literature. Yes, bashing is uncalled for, but if we didn’t voice differing opinions the book world would be awfully boring. LABYRINTH is a great movie! Jim Henson was one of just a handful of filmmakers who could actually bring a fairy tale to life correctly on the big screen.